The term ‘Fauve’ means ‘wild beasts’, and refers to how wild and violent these paintings must have seemed when first seen at the end of the nineteenth century. 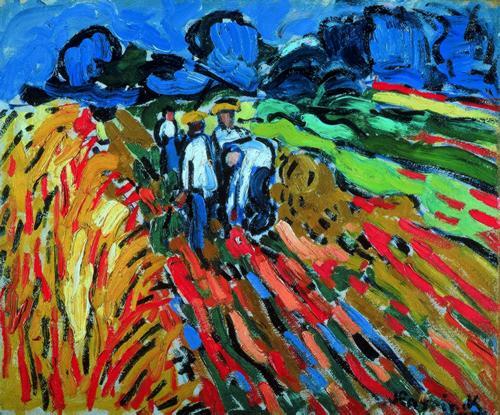 Fauvism in art meant paintings that used intense pure colors in a totally non-naturalistic way. The Fauvist Movement was a form of expressionism and was characterised by paintings of landscapes or people where both forms and colours were distorted for the purpose of expressing something beyond the superficial image of the object being painted. 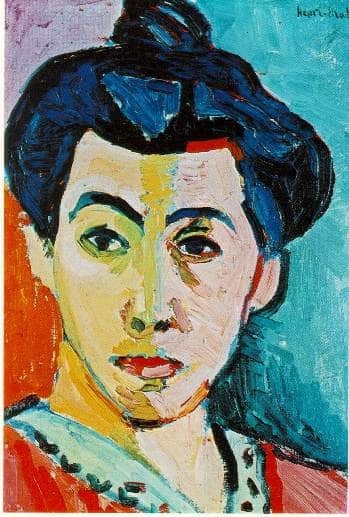 The name of Fauvism as an art movement was originally coined in 1905 when these artists first exhibited together in Paris. The name apparently comes from the occasion when the art critic Louis Vauxcelles, referring to a classical sculpture situated among the Fauvist paintings, called it “Donatello au milieu des fauves”, meaning Donatello among the wild beasts. 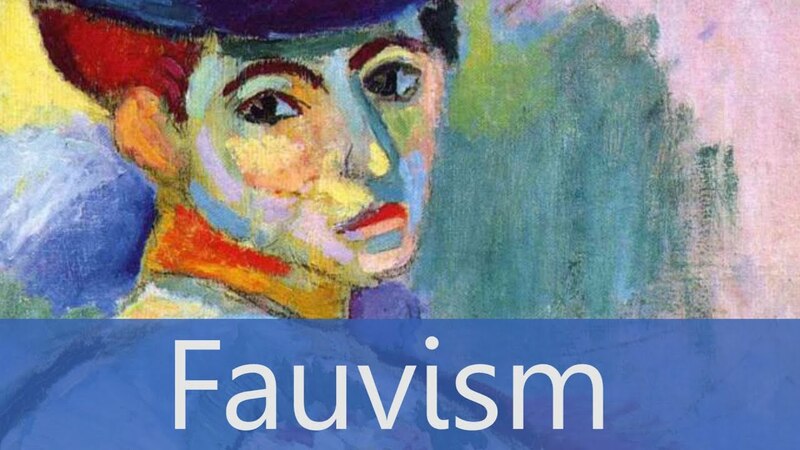 Fauvism in art was characterised by the move away from the impressionist and post impressionist short brush-marks to more radical and bold distortions of form and areas of violent colour. The Fauvist movement rejected the idea of three dimensional space in paintings, preferring a two dimensional surface of intense colours and vigorous brush-marks. The leading artists of the Fauvist Movement included Henri Matisse, Georges Rouault, Andre Derain, Maurice de Vlaminck and Raoul Dufy. Another key figure in the Fauve movement was Gustave Moreau, who was a professor at the Ecole des Beaux-Arts in Paris, and who taught Matisse, Roualt and others. It was his encouragement to think beyond the norms of tradition that led to these artists creating their Fauvist paintings. Characteristics of Cubism – Who Invented Cubism?